Smartseal Registered Installers offer professional roof cleaning and roof sealing services that will transform any roof in Ayrshire, including Ayr, Kilmarnock, Irvine, Cumnock, Girvan, Auchinleck, Largs, Prestwick and all other areas. 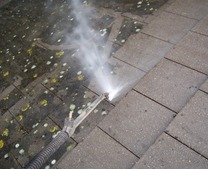 All of our roof coating installers are fully trained and use high quality roof sealers and coatings from Smartseal. 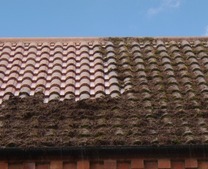 The climatic conditions experienced in Scotland and throughout the UK, with more precipitation and reduced sunlight forecast, are providing the ideal breeding conditions for increased moss and algae growth on concrete roof tiles; and over a longer period of time, accumulating on slate tiles and clay tiles. 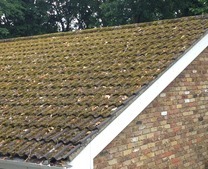 The freeze-thaw cycle and water retention capabilities of moss increase the stresses and strains on the roof tiles potentially causing problems with poor drainage and water ingress into the roof fabric. 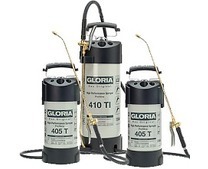 The resolution to these issues is to have your roof cleaned and then treated with a fungicidal application before sealing with either a coloured or clear roof sealer. 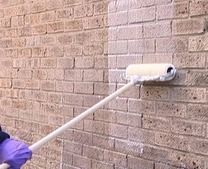 The Smartseal registered contractor will clean your roof after taking all measures to protect your subsurface drainage by disconnecting the downpipes and covering up any areas susceptible to water and moss ingress. 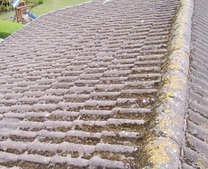 Once the cleaning of your roof has been completed any roof repairs required will be completed with any cracked or broken tiles replaced and ridge tiles re-bedded if required along with valleys re-lined. 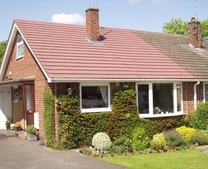 You then have the option of an application of Smartseals' Climashield roof coating that will fully restore the visual appearance as well as offering long-term protection against moss regrowth. 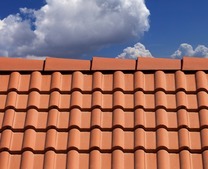 The roof coating has all been independently tested by the UK’s Paint Research Association achieving international accreditation for UV light and general weathering to European standards, freeze-thaw resistance to Japanese standards, adhesion to the roof tile to British standards and water vapour permeability in accordance with American Standards. 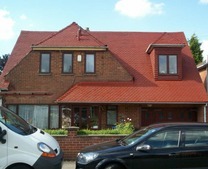 You can rest assured you are getting a top quality coloured roof coat available in numerous colours. 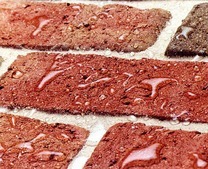 If you have clay or slate tiles or prefer the finish on the concrete tiles then the application of a clear impregnating roof sealer which offers the same levels of protection and self- cleaning properties may be appropriate. 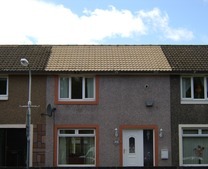 If you require a FREE no obligation quotation for a professional roof clean, roof repairs and roof coating or sealing service in Ayr, Kilmarnock, Irvine, Largs, Prestwick or elsewhere in Ayrshire then please call us now on 0800 849 9498 or complete our online enquiry form.